On September 27, the world will mark Retinitis Pigmentosa Day. This is a degenerative and hereditary eye disease that causes a severe reduction in visual capacity and leads to blindness in many cases. In Spain, the number of those affected exceeds 15,000 and it is estimated that 60,000 people carry the defective genes responsible for the disease. The onset of the disease generally affects young people. 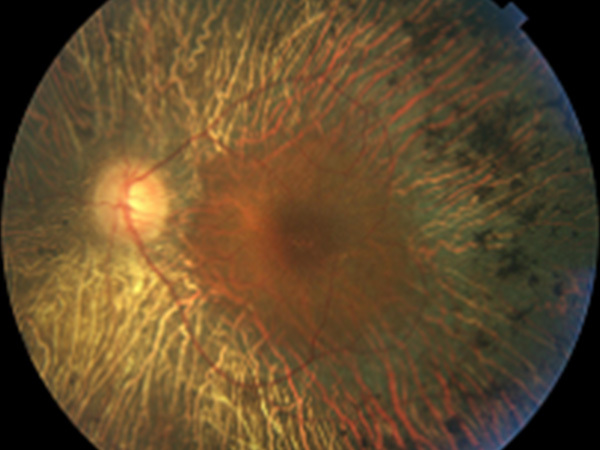 Its initial symptoms include a difficulty to adapt to darkness and the progressive loss of the visual field. Affecting one in every 2,000 people, it is the primary cause of total blindness. At present, there is no treatment to fight it. This is why we at the Barcelona Macula Foundation: Research for Vision are committed to overcoming the eye diseases that cause blindness. The research conducted around the world provides hope and the BMF collaborates closely with a variety of research and healthcare centres to develop a number of treatments to prevent the loss of vision and even to restore it. Gene therapy is giving reason for optimism, together with stem cells. Another highly ambitious line of research that could overcome some of the limitations of those mentioned above is optogenetics. The BMF, in conjunction with the Miguel Hernández University (Alicante) and the University of the Basque Country (Vitoria-Gasteiz), coordinates the project, “OPTO4EYE. Visual Restoration for Retinal Dystrophies using Optogenetics: Translational Research”. Degenerative diseases such as pigmentary retinosis act very fast. It is up to us to be faster. Collaborate with us at barcelonamaculafound.org.